Find style and comfort in the Fairly Sands Sofa in a beautiful neutral fabric that will blend with any decor. 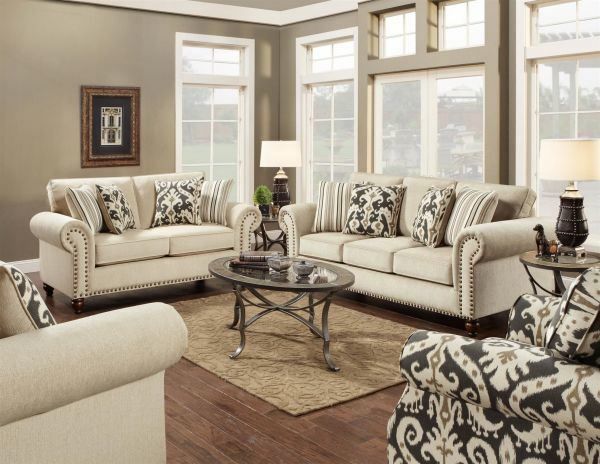 The generous rolled arms and distinctive nailhhead trim add to its appeal. Four throw pillows in correlating fabrics included.